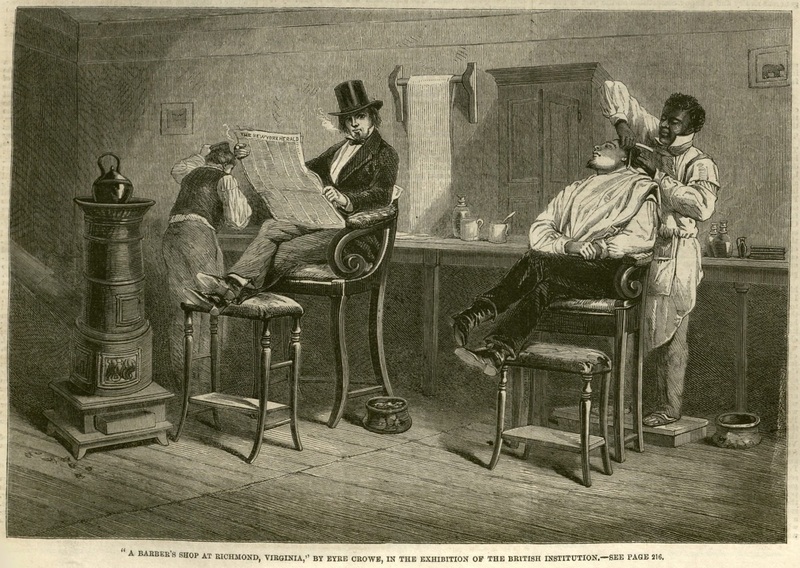 A black barber shaves the face of a lounging white man in a barber shop. 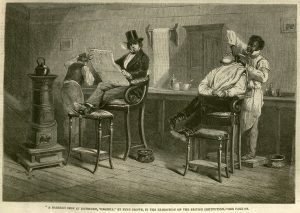 The Illustrated London News, 9 March 1861. Courtesy of University of Missouri Libraries.